Hello eYeka, Happy June! 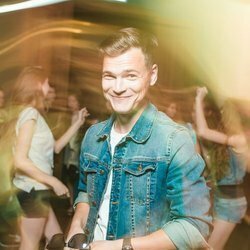 We are very excited to celebrate the beginning of Summer and to introduce you our creator of the month - Boris from Russia, a.k.a Mordov-centre. It is actually a whole team of creators who work together on videomaking and scriptwriting. They have already won 5 prizes on eYeka and today they will tell us more about themselves! Here we go! The best way to know the creator is to see his work. 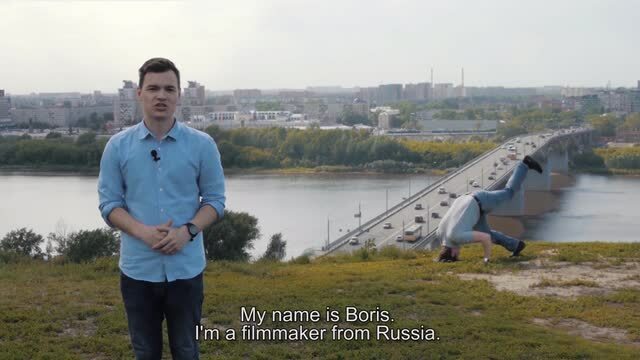 Boris and his team decided to introduce themselves through a video. Enjoy! What do you do besides participating in online contests? Besides participating in the online contests we do reportage, fiction and commercial shooting. Very often we shoot commercials for local clients, as well as dancing clips, short films, etc. Videomaking is our job and hobby at the same time. How did you start creating videos? How did you end up on eYeka? Our team is inspired by Cannes Lions. In our city they even organize special events of watching commercials. Just imagine: people pay money just to go and watch commercials. During this session people laugh, get surprised – have real feelings and bright emotions. I think this is what inspires us. We also want to cause these feelings with our works. Tell us about your Daily Club video? It even got to Japanese TV! How did you get the idea? Tell us about the shooting and your filming process in general? 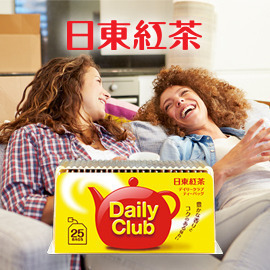 Oh ..:) Daily Club – we had much fun with this video on all the stages of its creation. We got the idea really easy. We got a though “What if the teabags were hanging on the ceilings and people would make the tea using the cups on their heads?”. After that we spent a fun evening imagining different funny episodes of this video. Shooting took place during several days in different places. Our actors were our friends, relatives and even we ourselves. The end result was quite fun as we imagined it. We would like to improve it increasing the quality of the image, by inviting professional actors and using better locations, but apparently it was also enough. We always pay a lot of attention to the idea, trying to make it original and at the same time understandable. For each contest we come up with several ideas and then pick the best one. Then we prepare for the shooting: casting, props (sometimes hand-made), agree with the location. Of course sometimes despite all the planning unexpected situations may occur which we have to solve on site. Do you have a work you are particularly proud of? Yes, we are proud of our Iceland video. It required lots of efforts from our side. We consider it not just funny but also making the job. Did eYeka contest change anything in your life? Participation and winning in eYeka contests gave us hope that we can do what we love and earn on it. I think everyone dreams of a well-paid hobby. You won 5 prizes already! What is the secret of this success? We have won in 5 contests and we are not planning to stop. :) It might be not that huge achievement for some of the other eYeka creators but its pretty big for us. We wish to increase this number by the end of the year. ;) We have a good experience of writing scripts for theater plays and comedy shows. Besides we love what we do and have a strong desire to spend time and invest efforts in the realization of our plans. Perhaps this plays the main role. What would you advise creators who are just starting their participation on eYeka? If after trying something new you failed do not rush to put a cross on yourself. Better ask yourself a question: “Would you like to succeed in this?”. If you get a strong and unconditional “Yes!” answer in your head - do not stop. Even most talented people had failures, nobody is insured from it. The most important is belief in yourself and your goal. We wish good luck to everyone!